Lucy the dog loves going shopping with her parents and she isn’t afraid to tell them exactly what she wants when visiting her favorite stores. 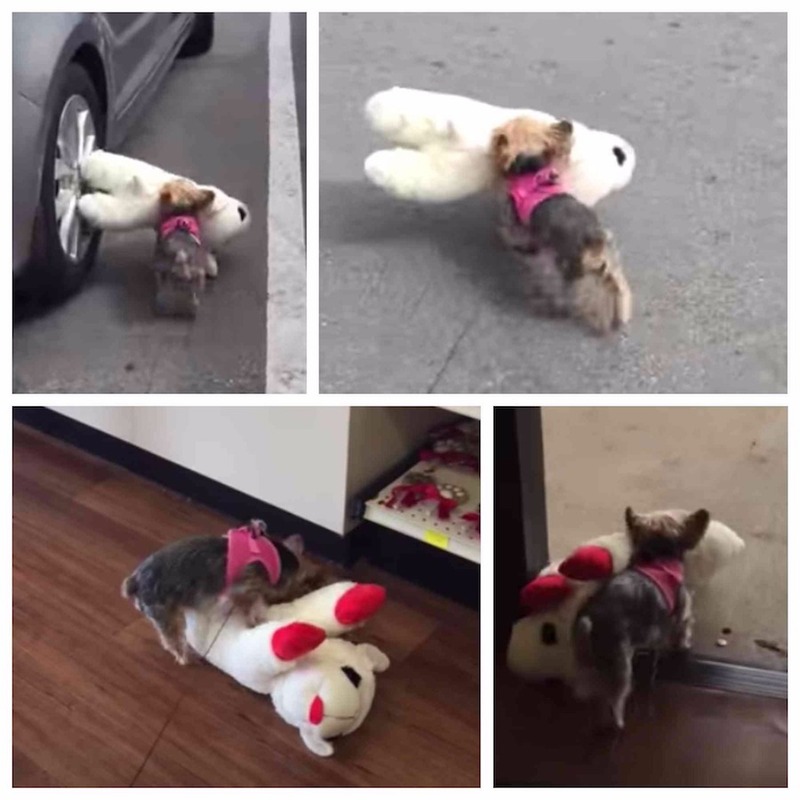 Recently, Lucy was enjoying a shopping trip when she found a huge Lamb Chop plush toy. The little puppy, was insistent on the doll and she was determined to carry it out of the store on her own. Her owners explain that Lucy is a picky shopper and will sniff around a store until she finds exactly what her little heart desires. Watch Lucy barely contain her excitement as her dad pays for her new toy. This dog knows how to get excited. At the end of the day our puppy children are just like us as little kids, excited about toys and unable to contain their excitement.